Lotad in game: 2,890 Who? Important notice! 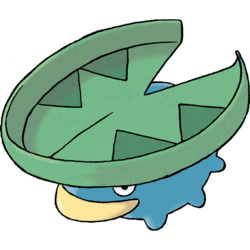 Pokemon Lotad is a fictional character of humans. 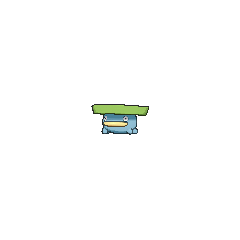 Lotad appeared in The Lotad Lowdown. Three sisters named Natalie, Nicole, and Rita owned a flower shop and a horde of Lotad. 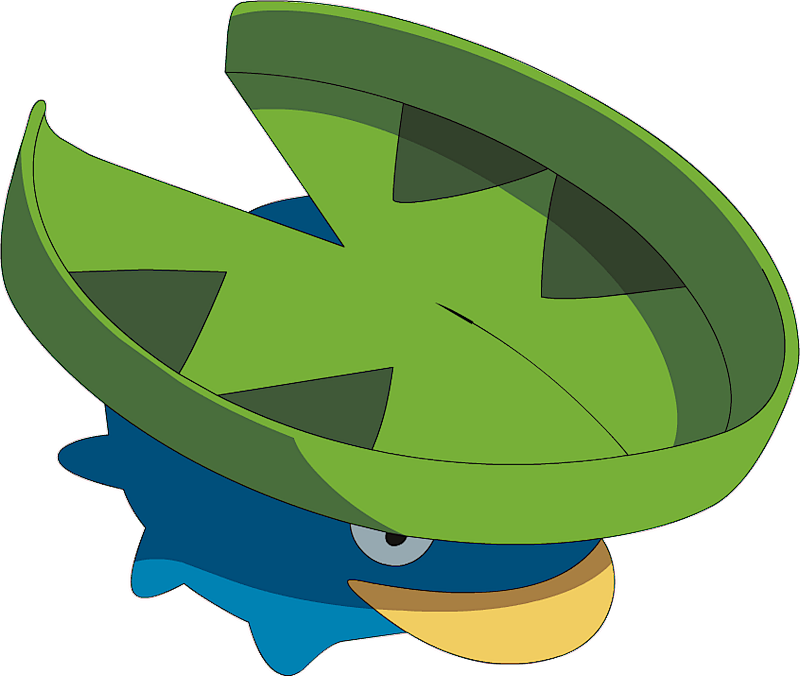 One of these Lotad were given to Brock. This particular Lotad was a bit slow and sometimes stared blankly for a few seconds before attacking. It evolved into Lombre in Take the Lombre Home, and into a Ludicolo in Once in a Mawile. 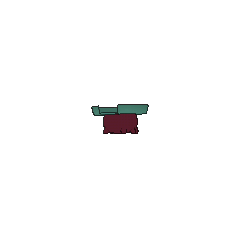 A Lotad appeared in Oh Do You Know The Poffin Plan!, under the ownership of Forsythia. Multiple Lotad appeared in One for the Goomy!, after being startled by Team Rocket. They attacked Team Rocket and Ash's group using Energy Ball along with Lombre who were using Bubble Beam. Multiple Lotad appeared in Defending the Homeland! and then again in Beyond the Rainbow! as Pokémon that lived in the wetlands that Ash's Goodra was from. One of them reappeared in Master Class is in Session! and Performing a Pathway to the Future! to watch Serena's performance with the rest of the wetland Pokémon. They appeared once again in A Diamond in the Rough!, and Facing the Needs of the Many! when Ash and his friends returned to the wetlands. Five of them appeared again in Till We Compete Again!, where one was arguing with a Wooper, before Goodra put a stop to the argument. Lotad first appeared in Johto Photo Finish. A Lotad appeared in The Ribbon Cup Caper at the ship's Pokémon Center. A Lotad appeared in The Island of Illusions!. 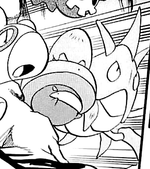 A group of Lotad appeared in Genesect and the Legend Awakened at Pokémon Hills. A wild Lotad appeared in The Cavern, where it was running away from a storm which a Primal Kyogre was involved. Lotad seems to be a literal example of a lily pad. Given its general shape and habitat, it may have also been partially inspired by a tardigrade. Lotad is a combination of lotus and tadpole or lily pad.